﻿ Diving Bonaire: when is the best time to go? Ask BonairePros! Diving Bonaire: when is the best time to go? Ask BonairePros! When is the best time to go diving on Bonaire? 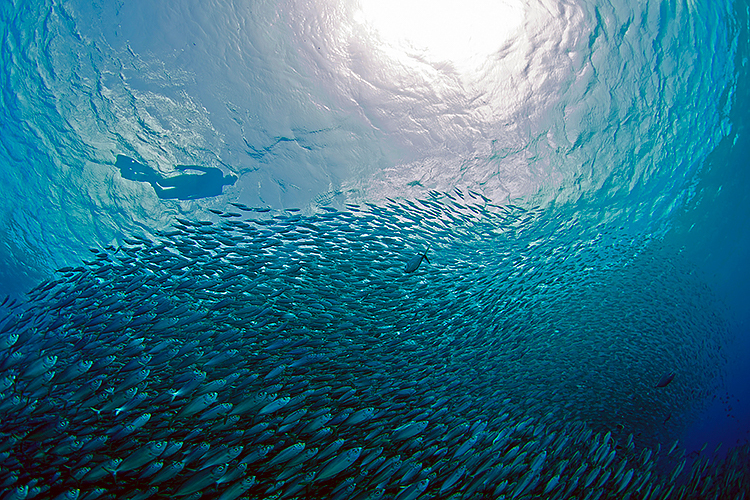 Bonaire is known as the crown jewel of Caribbean diving. Even the words Divers Paradise are stamped on the island’s license plates as a reminder to Bonaire’s well-earned reputation. Located in the southern Caribbean, Bonaire offers the perfect combination of location and weather that make diving possible all year round. 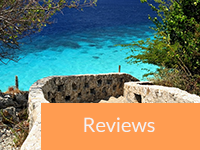 Whether you are a novice who is planning your first diving experience or a seasoned diver looking for that perfect diving spot, Bonaire is where it’s at for two simple reasons. Sunny days with a breeze – you can set your calendar to it on Bonaire. And it’s rare for a day of diving to be canceled. Rainy weather is rarely a concern on this arid island. In fact, most of the 25 or so inches of precipitation the island receives on average each year is in the form of brief showers that pass through rapidly during fall months. 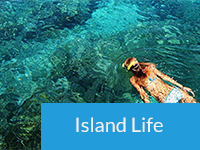 This island oasis enjoys year-round pleasant temperatures with average water temps ranging from about 78 degrees Fahrenheit during the winter to 84 degrees Fahrenheit in the summer. Average air temperatures reach highs of about 87 degrees Fahrenheit and lows of about 78 degrees Fahrenheit. Because Bonaire is located south of the Caribbean’s hurricane belt, divers rarely have to be concerned about tropical systems keeping them out of the water during the annual July through October period. 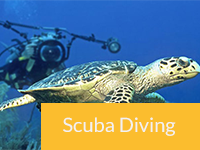 That makes Bonaire a pretty safe bet for planning your dive trip — anytime you like! And it helps being a bit out of the way. 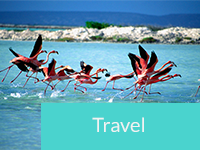 Because Bonaire is far enough from the USA and Europe, the sheer number of visitors that make some destinations overcrowded never happens on Bonaire – even during holiday and peak travel times. So when is the best time to go diving on Bonaire? May and June offer some of the most consistent weather, fewest visitors and best travel bargains of any time of the year. That’s a diver’s trifecta! If you plan to travel to the Caribbean during early fall, Bonaire is your best bet to avoid tropical storms and hurricanes. September and October also offer less crowds and better package deals. It’s also when annual coral spawning occurs as well as occasional wind reversals that make diving on the wild East side of the island its most accessible. But really – just go whenever you can. Bonaire is one of those out of the way, unspoiled spots in the world where perfect weather collides with astonishing natural resources to provide divers with the very best experience possible. Schedule your diving trip to Bonaire today and see for yourself the astonishing beauty, welcoming climate and abundance of dive opportunities that exist for the taking. 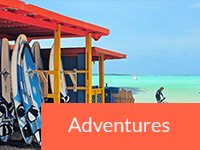 Ready to book your Bonaire trip?